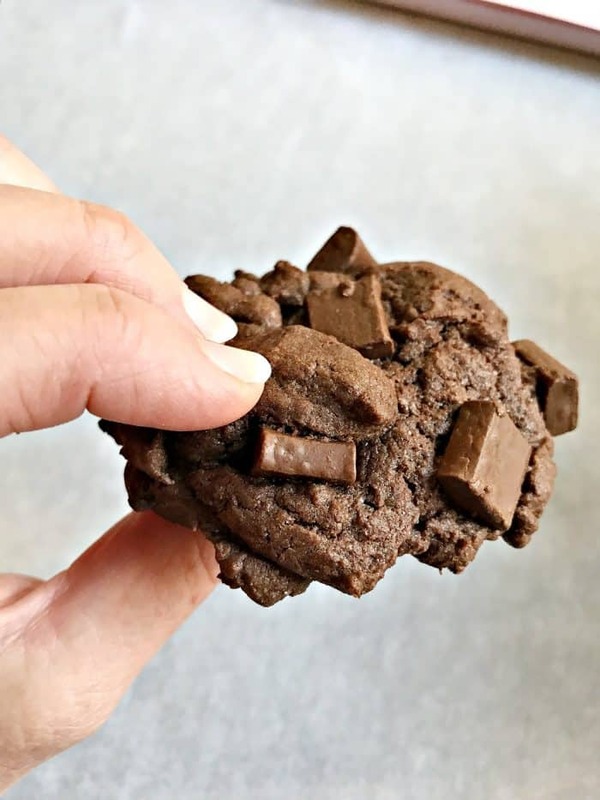 These Double Chocolate Cake Mix Cookies are a family favorite and super easy for you to make. The holidays are just one more reason for trying a new recipe, especially baking cookies. It is very rare for me to share recipes here on the blog because in all honesty, I don’t like to cook. I tend to stick with what I know and once I get good at a recipe I like to keep using it. So, you can only imagine how many times I have eaten these cookies! 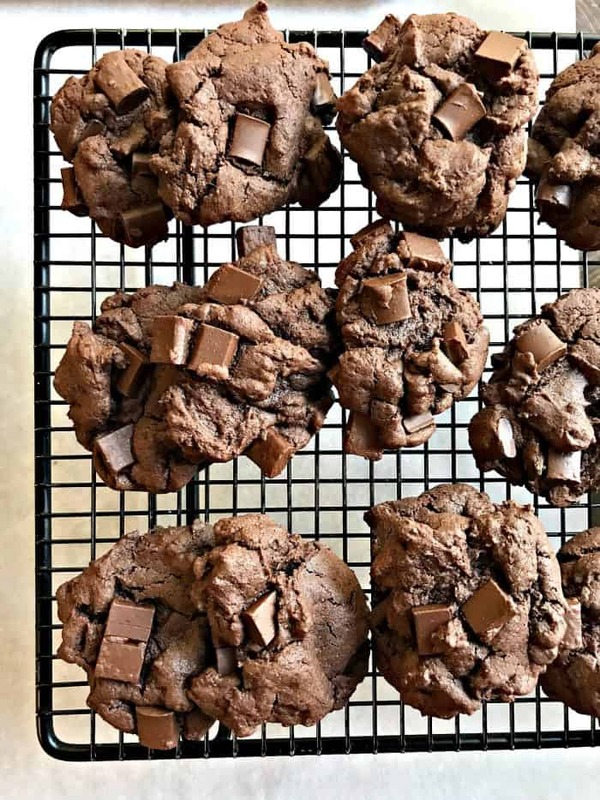 These double chocolate cake mix cookies are perfect to bake to send to a class party, deliver to neighbors, or take to your family holiday party. They are a hit with everyone and they pack and transport well. BUT to make sure they cook perfectly and store well there are 2 tricks that ensure the perfect cookie! I’ve tested it without the tips and the cookies do not cook as awesome. Did I mention ONLY one 4 ingredients? That’s right! 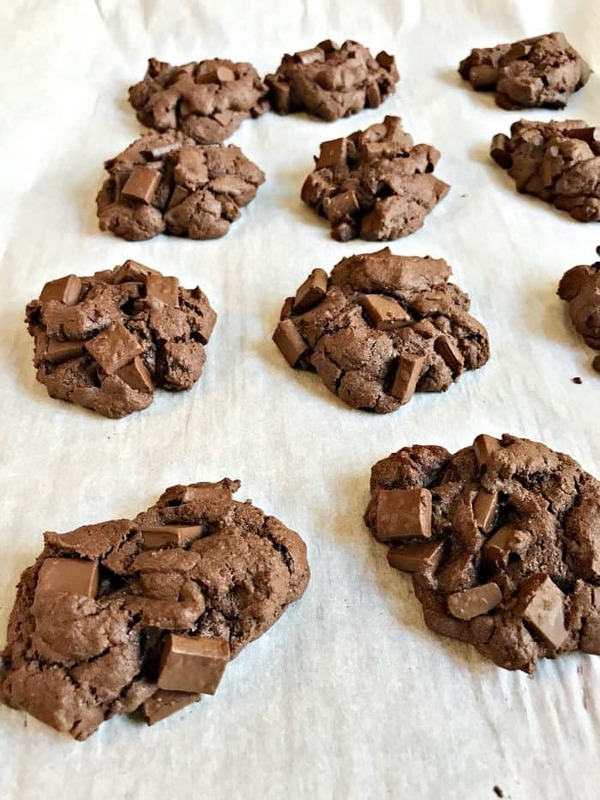 Perfect double chocolate cake mix cookies easy and delicious! Mix the eggs and oil together first. Blend them well. Next add in the dry cake mix. Stir until blended. This is trick #1. If you add the dry cake mix in before blending the wet ingredients your cookie texture will not be a great. I like mixing bowls with non skid bottoms like these. 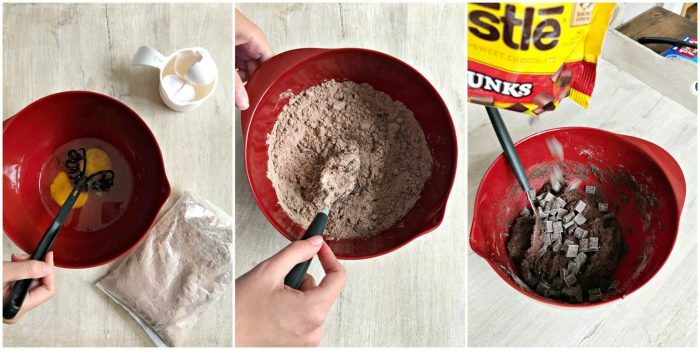 After the first 3 ingredients are mixed you can then add in your chocolate chunks. Anywhere from 1 cup to the entire bag, depends on how much chocolate you like. 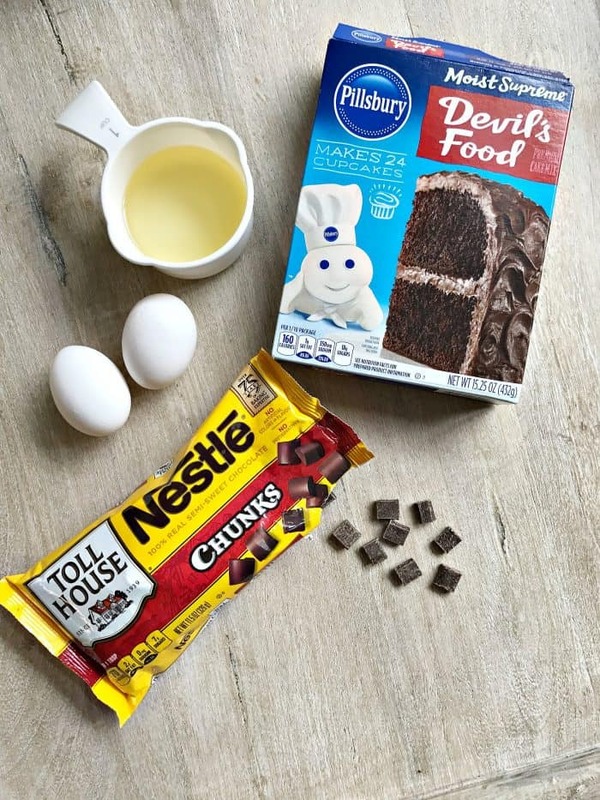 Tip #2, the Nestle brand chocolate chunks are what I have found work best. Regular chocolate chips still taste yummy but the make the cookie super gooey. 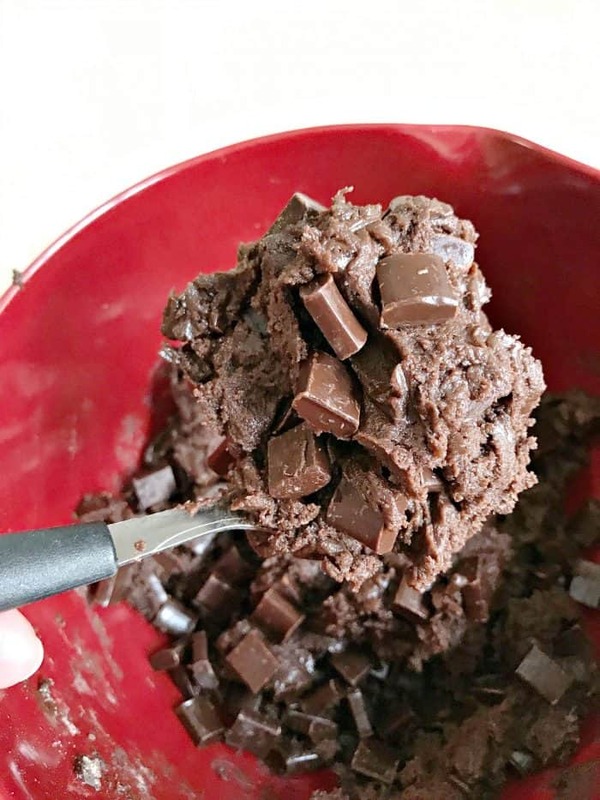 The chunks hold together during baking but the chips melt and are really messy. Bake the cookies at 350 degrees for approximately 8-10 mins. My oven is 9 minutes. They cook like brownies and can harden too much if over cooked so keep an eye on your first batch for time. I always cool my cookies on a vented cooling rack. It makes the cookies cool faster and hold shape well. I’ve just found this amazing cooling rack that will come in handy when baking multiple batches of cookies. Once cooled you can move them to parchment paper or a plate. Chocolate lovers see below…entire bag of chunks were added. Go ahead and pin this photo to Pinterest before you continue on so you will have it on hand. If your cookies last long enough to store or display, you will want to have some of these on hand. 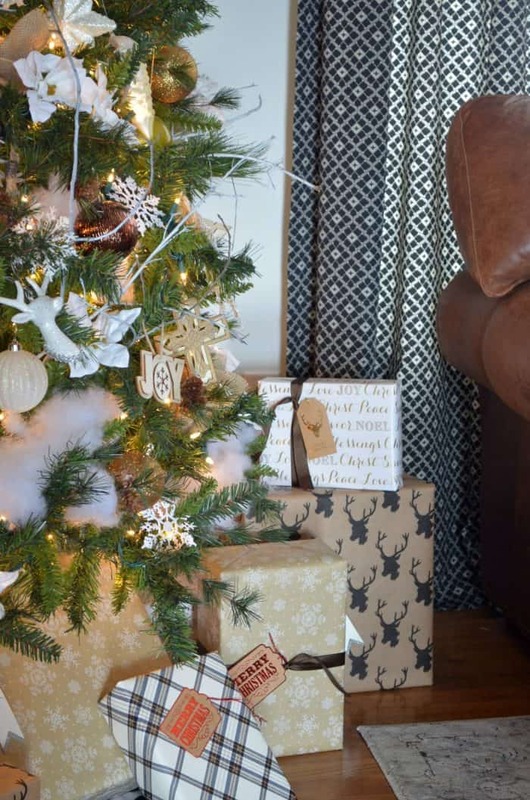 Join a few of my fellow home decor bloggers as we share a little holiday baking today. How yummy do all of those look? I can’t wait to try them. 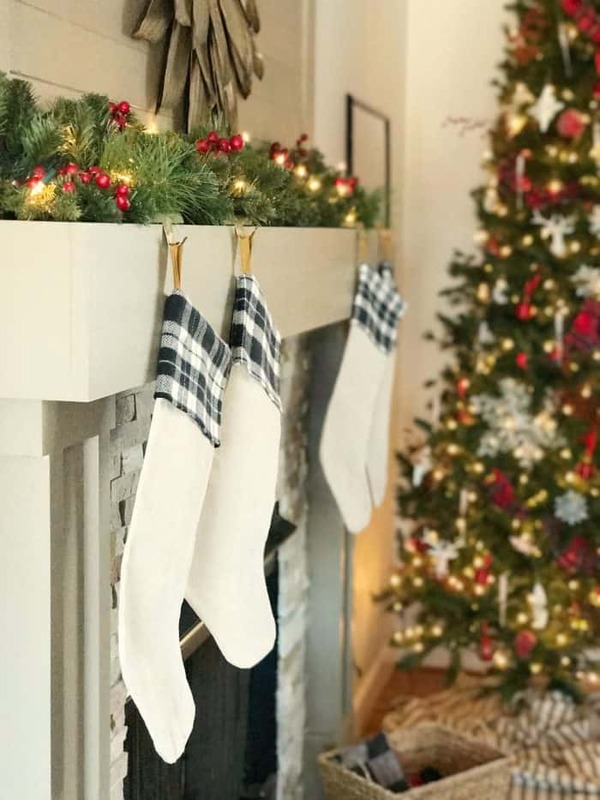 Did you see my Christmas Tree and Mantel this year? I decided to add the red back in after last years neutral Christmas decor. Oh wow! Those look soooooo good! They are speaking to the chocolate lover in me! These look like a great recipe to try with my kids over winter break. Pinning now! These look like a chocolate lovers dream! I love a simple recipe, especially this time of the year. Can’t wait to make them!